PUNE: Kashmir hoteliers are gearing up for a bumper summer with spurt in tourist activity this Summer. Kashmir Hoteliers and Restaurant Owners Federation ( KHAROF) which has more than 450 members and about 26000 rooms expects a tourist inflow of more than 1 crore tourists in Jammu and Kashmir this year in summer. Adressing a press conference on the sidelines of a road show held at Grand Sheraton hotel in Pune, Wahid Malik President KHAROF said that J&K Tourism in collaboration with various Tourism Trade Organisations are conducting road shows in 9 cities including Pune and three abroad in Malaysia , Thailand and Bangladesh. 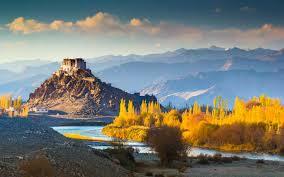 Maharashtra accounts for largest number of tourists to J&K which is estimated to be around 20 lakhs per year. This summer we are expecting atleast 1 crore tourist arrivals in Jammu and Kashmir said Javed Burza Past President KHAROF and Chairman Tourism Promotion Sub Committee . Riyaz Shah, Dy. Director Tourism said that the varied landscape of J&K is a major attraction for not only Indian Tourists but also International tourists. We are expecting to double the number of arrivals from foreign countries from 75 thousand to 1.5 lac this year. Foreign tourists includes those from Italy, Germany, France particularly to Ladakh and from Malaysia Thailand and Bangladesh to Kashmir . Dr Vishwas Kelkar President Travel Agents Association of Pune said that although in the past couple of years people have been postponing their plans to some extent , this year we have seen increased activity for J&K. Punekars are exploring new ways to enjoy Kashmir . Apart from the traditional popular center's like Srinagar , Gulmarg , Pahalgam people are now ready visit off beat destinations of Kashmir including Jhelum River and lesser crowded places to enjoy the real beauty of nature. The nature of activities is also expanding from only leisure tourism to adventure tourism with entire family like river rafting. Sanjay Nahar , Founder Sarhad said that we have a dedicated helpline for tourist who need help in Kashmir . What is important is that people in Maharashtra have an emotional connect with J&K and this is resulting in increased people to people connect when tourists visit Kashmir. Around 25 members from Kashmir Travel Trade are in Pune for promotion to Kashmir Including Manzoor Pakhtoon, Chairman JKTA. & Nasir Shah, Chairman J&K PILTOF.